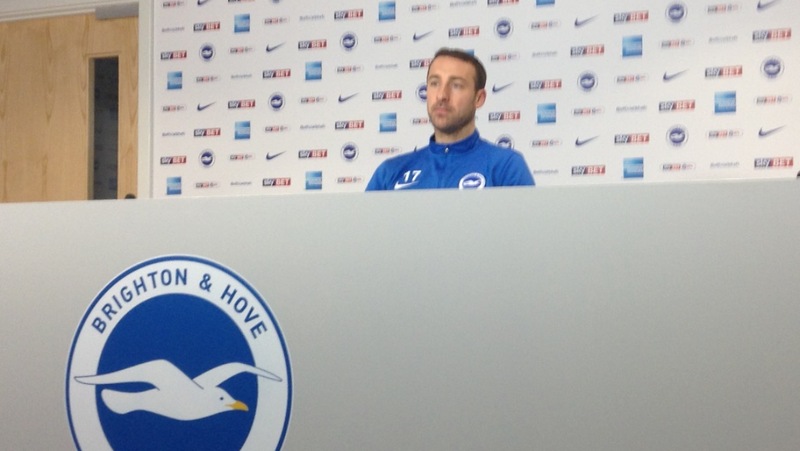 Brighton and Hove News caught up with Glenn Murray at this week’s press conference. Here are a few of the things that were discussed. 1) The striker, who is closing in on 70 Albion goals, had never been to Brighton and Hove before joining the Seagulls in January 2008. 2) He has lived in the area ever since and has seen a different side to the club since rejoining in the summer. 3) He told Brighton and Hove News that he was pleased to be playing and scoring goals at the Amex after missing out last time he was at the club. He left just a few months before the first match at Falmer. 4) He thought that football had changed a lot since he was last at the club. He recalled players such Michel Kuipers, Gary Hart and Guy Butters and also the core of Brighton-born players in the squad at that time. He identified “Dunky” as the only Brightonian in the current first team squad.